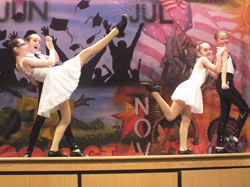 The Connection Dance & Performing Arts Program offers classes from ages 1 1/2 through teen. We offer both recreational and competitive programs taught by our expert staff. Our dynamic instructors will help your child develop the self discipline and confidence to perform while having fun and creating friendships with fellow students. 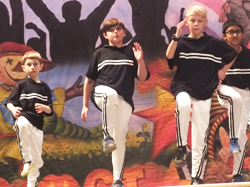 In our dance classes children will gain flexibility, strength, technique, and performance skills. In our performing arts classes children will use their creativity to explore aspects of the theatre arts. Our comprehensive Dance & Performing Arts program culminates with a recital held in early June, featuring our adult and youth students. The Connection is also home to The Connection Dance Team (TCDT). Click here to view more information about our award winning team! Click Here to view our Performing Arts Department Policies and information about shoes/attire. Email Jessica Fascenelli Weisenbach, Dance and Performing Arts Director, for more information. 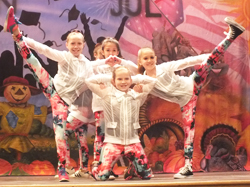 2019 DANCE RECITAL Saturday, June 8th at Summit H.S. The Winter Session + costume will be charged up front. The Spring Session will be charged to your credit card the week of March 11th. With the care giver close by, students will learn the basics of dance, while engaging in hands-on movement activities essential to proper development in coordination, counting and timing, and self-confidence. Students learn to stretch and dance through the use of exciting props such as dance scarves, rhythm sticks and ribbon sticks. Boys & girls love to dance! Let them get their groove on in this fun filled, action packed class full of music, dance, games, and imagination in the dance room and gymnastics gym! This class will encourage independence from their caregiver while working on gross motor skills, musicality, and following directions. Children will be introduced to basic Hip Hop through innovative and creative body movement from head to toe. They also Flip Flop through some basic cartwheels, rolls, and stretches. This class is perfect for dancers, cheerleaders, and gymnasts. Students will gain flexibility and develop their tumbling skills with the use of the floor exercise mat, blocks/equipment, and tumble track. Children are introduced to basic dance techniques through innovative and creative body movement. Individual modifications to activities will be made as needed. This class will offer your child hands on experience creating a performance while learning to be a triple threat! They will learn songs, dances, some basic acting, and make a prop and costume. The session will end with an informal performance working towards our final performance in the spring.